“We Belong Together ” is a song from Mariah Carey ‘s tenth studio album, The Emancipation of Mimi (2005). The song was released on March 29, 2005, through Island Records as the second single from the album. “We Belong Together” was written by Carey, Jermaine Dupri, Manuel Seal, and Johnta Austin, and produced by the former three. As the song samples lyrics from Bobby Womack’s ” If You Think You’re Lonely Now ” (1981) and The Deele’s ” Two Occasions ” (1987), several other songwriters are credited. “We Belong Together” is built on a simple piano arrangement with an understated backbeat. According to Carey, this was done to highlight her vocals, instead of having them obscured by heavy instrumentation. 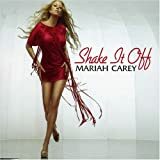 The song’s lyrics chronicle a woman’s desperation for her former lover to return, following their separation and her loneliness and despair following his departure.Following her decline in popularity between 2001 and 2005, critics dubbed the song her musical comeback, as many had considered her career over. 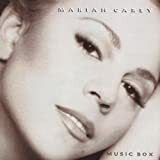 They described it as Carey’s “return to form” and referred to it as the “return of The Voice.” “We Belong Together” broke several records in the United States and became Carey’s sixteenth chart topper on the US Billboard Hot 100. After staying at number one for fourteen non-consecutive weeks, the song became tied for the second longest running number one song in US chart history, behind Carey’s ” One Sweet Day ” (1995). Billboard listed it as the “song of the decade” and the ninth most popular song of all time. Additionally, it broke several airplay records, gathering both the largest one-day and one-week audiences in history. The song topped the charts in Australia and the Netherlands, and reached the top two positions in New Zealand and the United Kingdom.Due to its continued success, Carey performed the song on several live award shows and television appearances around the world. 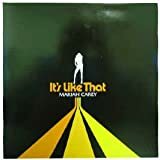 Following stateside performances at the 2005 MTV Movie Awards, MTV Video Music Awards, Macy’s Fourth of July Parade, and The Oprah Winfrey Show, Carey performed it on several European events and programs such as the Live 8 charity concert in the United Kingdom, the Fashion Rocks in Monaco, and the German Bambi Awards. Most notably, Carey performed a medley of “We Belong Together” and ” Fly Like a Bird,” another single from the album, at the 48th annual Grammy Awards on February 8, 2006. The performance received rave reviews from critics, and induced the night’s only standing ovation. Carey performed the song on both her Adventures of Mimi and Angels Advocate Tours. Critics described it as one of the concert’s finest and impressive moments.We Belong Together” earned several music industry awards and nominations throughout 2005_06: two Grammy Awards, two Radio Music Awards, two Soul Train Music Awards, one Vibe Award, a World Music Award and a Teen Choice Award. The song’s music video was filmed as a two-part story with “It’s Like That,” which features Carey at her bachelorette party. The video for “We Belong Together” is a continuation focusing on Carey’s actual wedding to an older and powerful man. Furthering rumors of the video’s connection to her 1993 marriage to Tommy Mottola, Carey donned her actual Vera Wang wedding dress for the shoot. The video ends with Carey escaping the wedding with her ex-lover, who appears at the main stairwell just as the pair are to be wed. Carey and her lover, (played by Wentworth Miller) run down the flowery walkway and get into his car, while Carey’s 27-foot train flows behind them. Not all keyboard teachers like the idea of teaching you only rock piano. Classical music is built upon similar principles and so traditional piano study won`t hurt your either. Your playing of popular keyboard melodies will improve tremendously if it is possible to find the energy and effort to study classical music alongside it.